A beautifully constructed product that will bring an amazing look in your living area or study room. This accent lamp comes with a spherical shade with wide opening revealing the bulb, attached to metal base providing stability to the product. 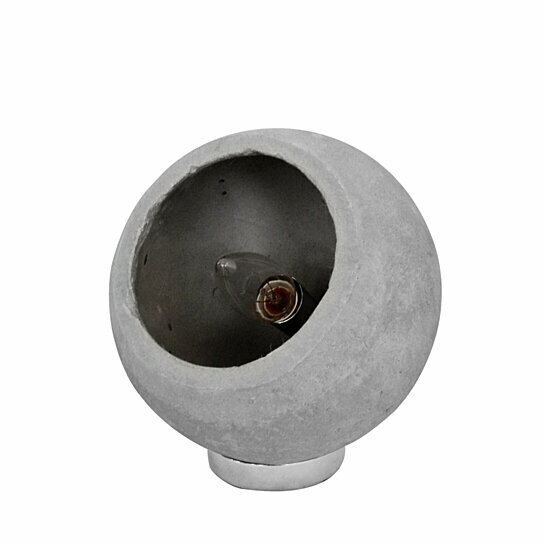 This accent light comes with concrete material body with a gray and silver color finish .The product uses one 40 watt incandescing bulb to provide proper light and makes a bold addition to your tables.